The Hotham Academy has been delivering exceptional training courses and skier development camps to Mt. Hotham guests since 2009. We pride our programs on the talents of our exceptional staff that you will have the opportunity to ski and ride with. 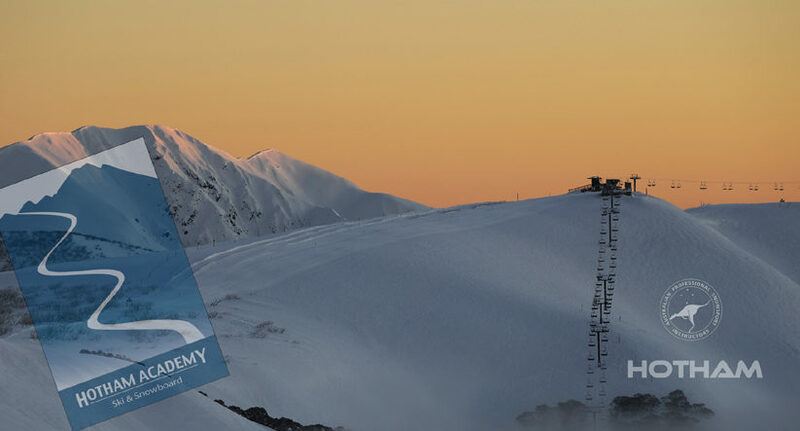 Their knowledge, skills and passion for the alpine environment are the best in the business and truly inspirational.The Academy courses provide you with a unique chance to improve and experience what athletes and resort employees have had at their disposal for years. It’s our aim to bring these high end improvement products to the public and grow the interest and number of qualified Snowsports instructors in our country. Come and join us on the slopes of Hotham this season for a fun and truly memorable experience.